Engineering Materials 2 is a best-selling stand-alone text in its own right for more advanced students of materials science and mechanical engineering, and is the follow-up to its renowned companion text, Engineering Materials 1: An Introduction to Properties, Applications & Design. This book develops a detailed understanding of the fundamental properties of engineering materials, how they are controlled by processing, formed, joined and finished, and how all of these factors influence the selection and design of materials in real-world engineering applications. 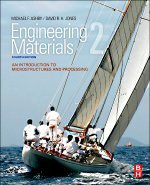 Engineering Materials 2 is suited to senior level and postgraduate study in departments of mechanical engineering; materials sciences; manufacturing; engineering design; materials design; product design; aeronautical engineering; engineering sciences. Online support materials include a set of interactive materials science tutorials - allowing students to test their knowledge of materials science in a fun, interactive way. This product describes the digital electronic calibrators to calibrate all extensometers.